Hyde Park, NY – In a pair of commencement ceremonies at the New York campus of The Culinary Institute of America, 198 new graduates launched careers in the exciting food world. 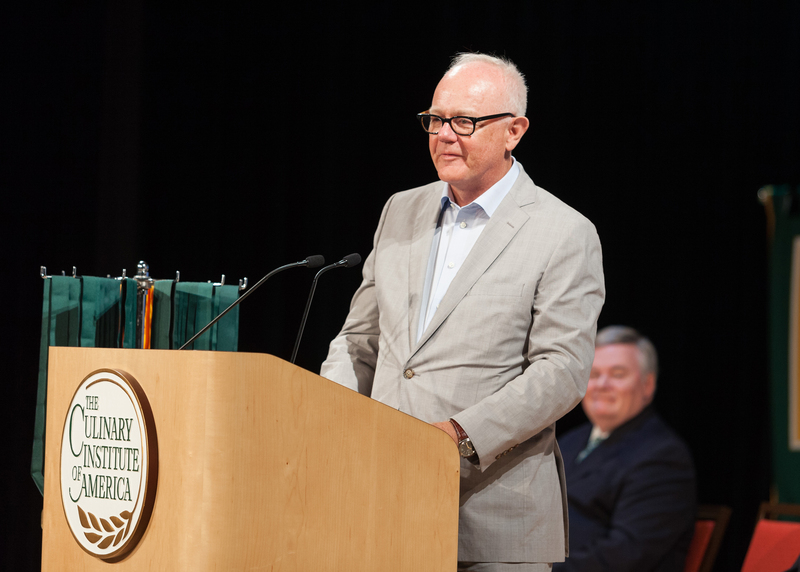 On July 28, global hospitality consultant Steve Rushmore was the keynote speaker at the baccalaureate graduation, where 124 students received their diplomas in Food Business Management, Culinary Science, and Applied Food Studies. The following day, 74 recipients of associate degrees in Culinary Arts and Baking & Pastry Arts heard from Håkan Swahn, owner of Aquavit restaurant. Rushmore is the founder of HVS, a hospitality consulting firm with offices in major cities around the world. He has provided consulting services for 15,000 hotels in every state and more than 60 countries during his 40-year career. Swahn created the first fine dining Scandinavian restaurant in the United States with the opening of Aquavit in New York City in 1987. A graduate of the renowned Stockholm School of Economics, he came to the U.S. in 1980 and soon after launched his own business, Smörgåsbord, Inc., to promote Swedish cuisine in America. Aquavit continues to be one of the city’s top restaurants, earning two Michelin stars. The full bachelor’s and associate degree ceremonies are archived at LiveStream.com and can be viewed online. Due to its rolling enrollment schedule, the CIA’s New York campus holds 16 associate and three bachelor’s degree graduations each year. Founded in 1946, The Culinary Institute of America is the world’s premier culinary college. Dedicated to driving leadership development for the foodservice and hospitality industry, the independent, not-for-profit CIA offers bachelor’s degrees in food business management, culinary science, and applied food studies; associate degrees in culinary arts and baking and pastry arts; and executive education through its Food Business School. Its conferences and consulting services have made the CIA the think tank of the food industry in the areas of health & wellness, sustainability, world cuisines & cultures, and professional excellence & innovation. The college also offers certificate programs and courses for professionals and enthusiasts. 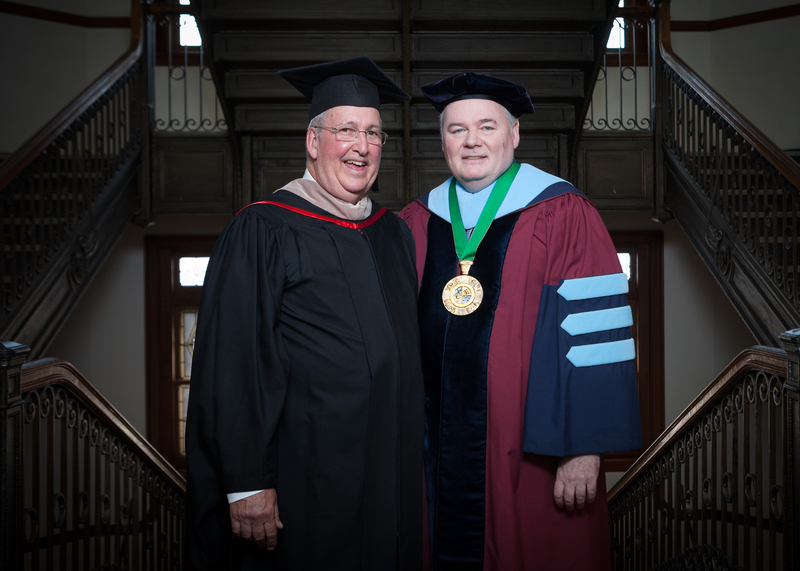 Its worldwide network of 49,000 alumni includes leaders in every area of foodservice and hospitality. The CIA has campuses in New York, California, Texas, and Singapore.